Phillip in the German R-L-X.de Forum showed off this really cool looking Submariner that somebody customized with a white dial. I call this combo of a white dial with a black bezel an Oreo Cookie Submariner. 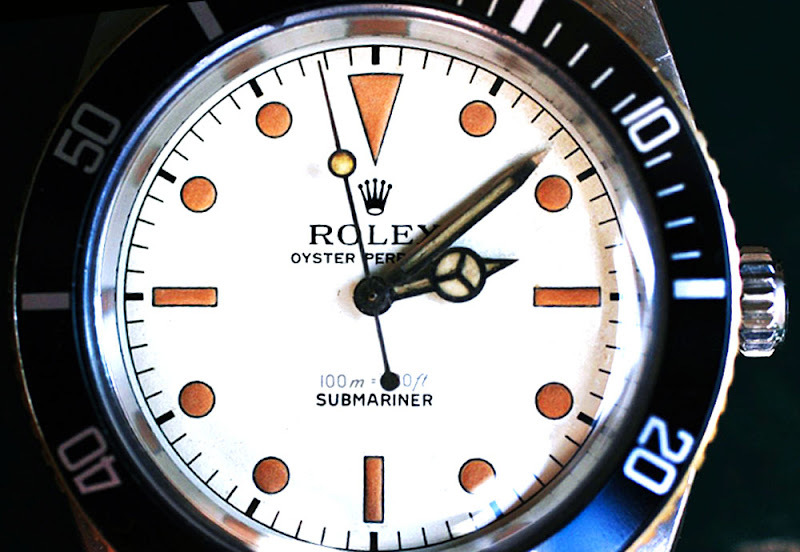 The only other white dial Submariner I have ever seen can be viewed by clicking on the label tag below named WHITE SUBMARINER. I really like this color combination and think Rolex should offer it as an option. I think it would look great on a black nylon strap. I believe this watch was made in the mid to late 1950s.